Thanks to everyone who participated in the Weekend Switch Off/Power Off last weekend. 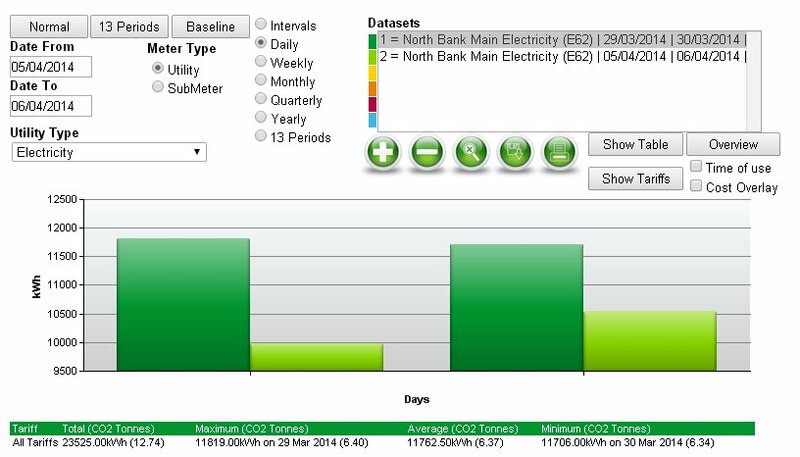 Savings of 1.6 tonnes of CO2 were recorded for the North Bank. To generate this much CO2 would take 16,000km of driving around in a 2013 Ford Focus (1.6 TDCi) (1). (Note: 16,000 is almost equivalent to the annual mileage completed in privately owned cars in Ireland (2)). Savings of 3,000 of kWh were recorded i.e. enough electricity to power an average home for 7 months (3). (2) As per p.71 of Howley M., Dennehy, E., O’ Gallachóir, B., Holland, M. (2012) ‘Energy in Ireland 1990 – 2011′ the average kilometers of privately owned cars in Ireland is 16,971 km. This entry was posted in Uncategorized and tagged Energy. Bookmark the permalink.